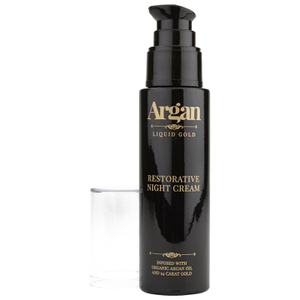 Deeply hydrate skin with the Restorative Night Cream from Argan Liquid Gold. 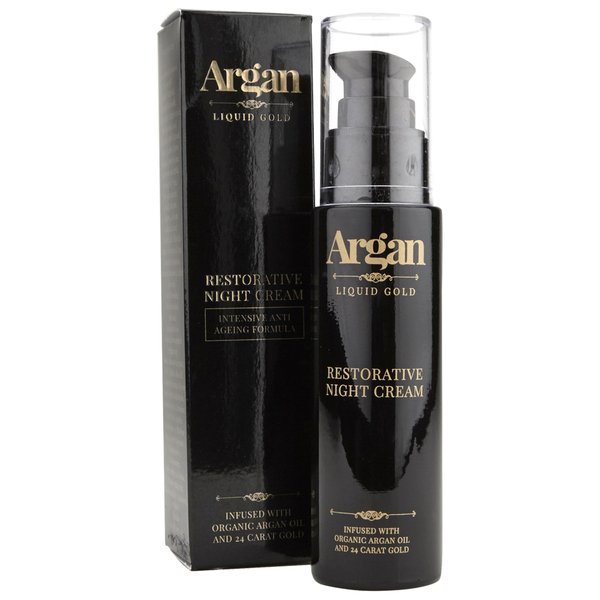 Fortified with high quality organic Argan Oil, 24 Carat Gold and a high level of Vitamin C, the luxurious formula delivers multiple benefits to skin, including encouraging cell renewal to leave you with a dewy, fresh complexion come morning. Working to minimise the appearance of fine lines, wrinkles and under-eye dark circles, the fast-absorbing cream promotes collagen and elastin production whilst reducing enlarged pores to reveal smoother, younger-looking and more refined skin. Lightweight and non-greasy, it soothes redness and provides antioxidant protection to fight premature ageing. 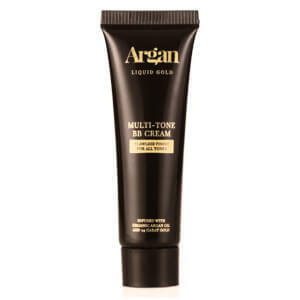 You can expect a brighter, even skin tone and improved firmness. Apply each night to cleansed skin, using sparingly and spreading with a gentle circular massaging action. Aqua, Argania Spinosa Kernel Oil, Cetearyl Alcohol, Cetearyl Glucoside, Caprylic/capric triglyceride, Ethyl Ascorbic Acid, Avena Sativa Meal Extract, Nylon-12, Jojoba Esters, Squalane, Dimethicone, Butyrospermum Parkii, Betaine, Glycerin, PEG-100 Stearate, Glyceryl Stearate, Cyclopentasiloxane, Plankton Extract, Colloidal Gold, Chlorella Vulgaris, Hydrolysed Algin, Rosmarinyl Glucoside, Sodium Hyaluronate, Caffeyl Glucoside, Gallyl Glucoside, Phenoxyethanol, Maris Sal, Oligopeptide-10, Sodium Carboxymethyl Betaglucan, Sodium Stearoyl Lactylate, Cetyl Alcohol, Olus Oil, Tocopheryl Acetate, Glycine Soja/Glycine Soja Sterols, Sodium Lactate, Carnosine, Lactic Acid, Lecithin, Polysilicone-11, Butylene Glycol, Decyl Glucoside, Polyacrylate 13, Polyisobutene, Polysorbate 20, Parfum, Ethylhexylglycerin, Disodium EDTA, Limonene, Citral, Linalool, Hexyl Cinnamal.